Energy is the essence and basic need of life. Every creature in this earth requires power to do their work. Have you ever heard a single line, or read single sentence that boost your stamina and makes you alert, awake and fully conscious? Energy Supplements are supposed to do that, as the name implies it gives you an extra burst of power. 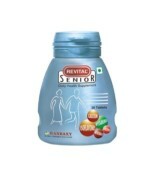 It has become one of the fastest growing categories of supplements. 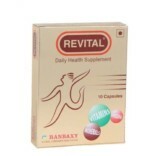 These are revolutionary health products to rejuvenate, revitalize and restore your health, power and vitality. It is the best way for bodybuilders, athletes and anyone who is looking for an extra power boost. The most active ingredient in Energy Drinks is caffeine. It stimulates your central nervous system, enabling a state of physical and mental alertness. 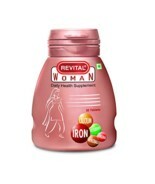 It improves blood circulation and replenishes fluids which usually lost during activity. 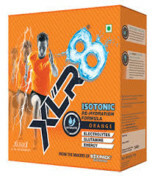 It increases your stamina and boost performance. As a car requires petrol to run likewise, your body requires energy to perform. The timing, kind, combination, and regularity of foods you eat can persuade your energy levels. In today’s quick paced scenario, it is really simple to feel burnt out. Many of us undergo scarcity of energy to induce them through their daily responsibilities. This is often why several have turned to energy supplements as a means for extra fuel. 1. Caffeine: caffeine is usually found in coffee and soft drinks to keep you vigilant and alert. It has been suggested that a combination of caffeine and taurine provides the mental and physical boost one would hope to obtain after consuming an energy drink. 2. Taurine: This is a kind of amino acid commonly found in energy drinks, and develops neurological function. Taurine also used as a dietary add-on and can be found naturally in fish, meats and even breast milk. It can support the carcass by regulating water and mineral salts in the blood, and can facilitate with neurological development. 3. Vitamin B group: Various vitamin B groups are generally found on labels of energy supplement, as most of them boost muscular, metabolic, nervous, and many other bodily functions. Depending on each supplement formulation, the amount of each vitamin may be different. 1. Is this supplement safe for me? If you previously have a medical condition or take regular medication, some supplements might be dangerous so it’s advisable to consult a doctor before starting an energy supplement. 2. How good is the evidence that this supplement works? Several of the energy supplements aren’t supported by a lot in the way of science that’s not to say that they don’t work, necessarily. It is just that there haven’t been sufficient studies to say one way or another. 3. Do I really need energy supplement? A proportionate diet should give most people the minerals, vitamins, and nutrients they need but if there is a deficiency in your diet you may need an energy supplement. 1. ON Essential Amino Energy:- You feel exhausted after your gym workouts? 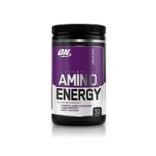 ON Essential Amino Energy is the perfect way to revitalize with free amino acids and a boost of nitric oxide. For those who find it complicated to complete the last few sets of exercises at the gym ON Essential Amino Energy is an ideal solution is a boost the energy. 2. Muscle Blaze Power Bar:- Packed with vital proteins, muscle blaze power bars are influential workout supplement bars for men, women and teens to build resistance that outcome in an improved body. These bars are created with Whey Protein concentrate & Soy Protein Isolate with vital nutrients to construct overall health and well-being. 3. Endura Enzest (Herbal Energy Booster):- In today’s challenging life, we need to pack in a lot more effort to attain our goals. That is why it is very significant that we never run out of power and endurance. However, to always stay active and healthy, it is essential that our nutritional intake is best. Enzest is a vegetarian energy-boosting every day health supplement that has been particularly formulated for men and women above 30 years of age. 4. Met-Rx Amped up Energy: MET-Rx Amped up Energy is intended with one purpose in mind –to amplify both mental and physical power levels immediately before workout. It also facilitates you tear through the gym at a burning speed and supports your metabolism to endorse maximum energy availability during all-out training sessions. Energy supplements have become one of the fastest-growing categories of supplement because of in this fast paced lifestyle very one is running out of energy. Whether it’s true or not, it sure seems like life is more chaotic than it once was. For people always traveling, the idea of an energy pill is convincing and required. Negative energy source like adrenaline, worry and stress will drain your body’s energy and eating healthy and regular workout will supply enough energy in your body to accomplish everything that you need to in a your daily routine.